A nine-member Chinese delegation from Touch International Holdings Group, which has signed a $1,2 billion Memorandum of Understanding with Government in the tourism and hospitality industry, arrived in the country yesterday. The delegation, which is led by the group’s chairperson, Mr He Liehui, arrived at Robert Gabriel Mugabe International Airport at mid-morning. It includes Ms Zhu Xiaochen (secretary), Mr Jiang Qi, Mr Zhang Weifeng and Mr Wang Wei, who are all engineers. Others are Mr Shi Huazhong, Mr Mengao, Mr Liu Yifan and Shen Jinhua. It is believed that the Chinese delegation is an advance team for 17 Chinese billionaires who are expected in the country in June this year. In an interview soon after touching down in Harare, Mr He said the team was in the country on a scouting mission. Mr He said there were inherent investment opportunities in the country. 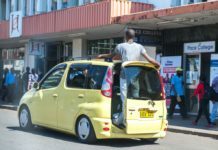 “Zimbabwe is a good country and we believe there are many opportunities we can work on and we think after some time, the economy of Zimbabwe will be booming,” he said. Zimbabwe Tourism Authority (ZTA) chief executive Mr Karikoga Kaseke said in an interview yesterday that the visit by officials from Touch International Holdings was a follow-up to President Mnangagwa’s five-day State visit to China. “This is a follow-up of the visit of early this month by His Excellency, the President of the Republic of Zimbabwe, Cde ED Mnangagwa, when he went with a delegation to China of businesspeople from this country and parastatal heads, including myself and a couple of ministers,” he said. Mr Kaseke said this was an advance team that had come to plan and arrange for meetings of the billionaires that would be coming in June. “They have come to plan and put a programme in place for the 17 billionaires — let me emphasise, for the 17 billionaires that are coming in June,” he said. “So, this is an advance party that has come to arrange the meetings and we want to hear from them which sectors they are interested in. “But I think they should be interested in all sectors. So, basically, this is the advance team that has come to arrange for the group that will be coming in June — definitely not beyond June — and we are very much happy, very thrilled that at least you know that a lot of people were doubting saying Zimbabwe just says ‘China billions, China billions, this billions that billions’. Mr Kaseke said recently the deal showed that indeed Zimbabwe was now open for business. He applauded the new political administration led by President Mnangagwa. Touchroad International Holdings is a privately owned company headquartered in Shanghai, China, with business interests in several sectors. Its international arm has operations in more than 25 African countries that include Namibia and Djibouti. The MoU signed recently will enable Chinese investors to invest in local special economic zones (SEZs), including Victoria Falls, which has been designated as one such zone. In terms of the agreement, parties shall exchange tourism and hospitality industry investment policies, rules, regulations, procedures, incentives and opportunities, including general updates on business data with a view to making them accessible to potential investors. ZTA has been tasked to operationalise the project. The parties shall also encourage joint research activities whenever possible and are required to facilitate investment and joint projects. Parties to the agreement are also expected to promote the services of the other party in Zimbabwe, China and at regional and international fora. 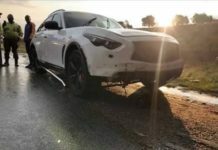 Khama Billiat Involved in Accident!